Today I'm bringing you another Academic Toolbox (past ones here) to help you get those A's you've been coveting! This set of information is all about personal study spaces, and how to make them more conducive to learning. This will be a blend of office areas, and "on-the-go" work spaces (ie/ when you hit the library or decide to write an essay at Starbucks). Hope you find some new tricks! - In your drawers organize frequently used items, a stack of lined paper, extra pens, a calculator, and your glasses if you need them to see up close. I have a clear pull out with all my sticky notes, paper clips, and miscellaneous stationary bits. This has helped me find anything I need in a heart beat. - Print out a simple calendar and paste it above your desk. I had 4 at a time at the beginning of the year so I could plan ahead for exams, weekend trips, and flights. In addition, we learned that good habits are more retained if they are tracked. So if you want to exercise 4x a week (aka my goal for the past two months- still working on it!) marking the days you do it keeps everything on track, and it feels nice at the end of the month to see all those X's. - A fluorescent table lamp. Proper lighting is really important for eye strain, so even if you're on your your laptop & think you have sufficient lighting, still turn on the lamp. Your eyes will thank you later! - Have a chair that provides good back support, I've been suffering with intermittent neck pain since November, and my doctor said it's due to improper posture from studying in the same position for 6 hours straight. - Have a yoga mat nearby for stretches, that helps too! - I mentioned in a previous post that I had a "study trigger" when I was in undergrad. I'd light a candle every day right before cracking down on the books. It was a fantastic trick! 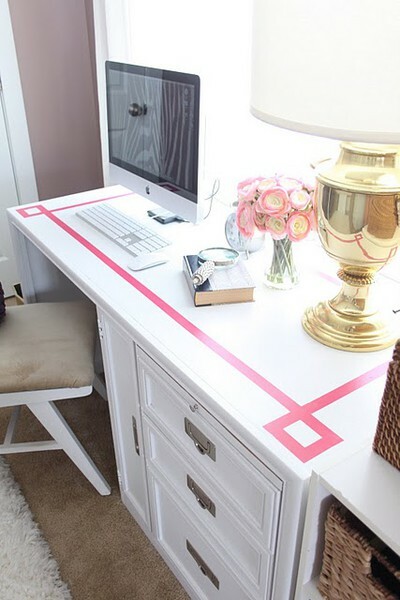 - Keep sanitizing spray or wipes nearby and give the desk and laptop a good wipe down every couple days. - Most importantly, make it a space you're excited to be in! I love white, so both my desks in Toronto and Chicago are white, and full of bright desktop accessories! 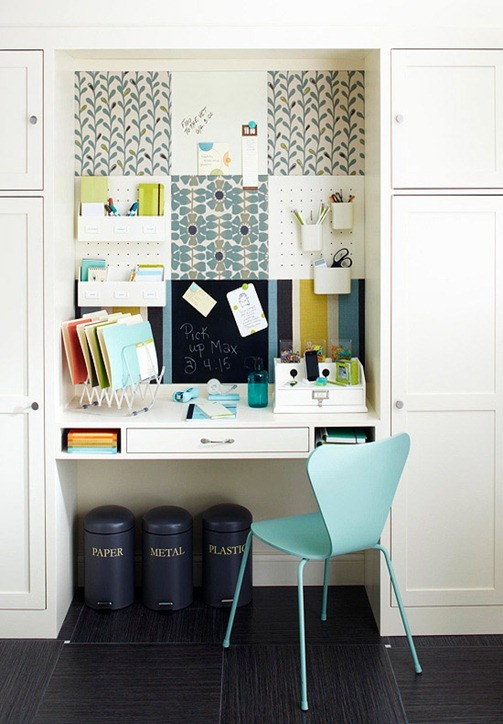 - Find a table that provides ample space for your study style. I tend to grab a whole 4 person table to myself if the library is super empty. I don't like when people do that during exam period. You should be considerate of others who want to use the study areas on campus. They paid for it, too. - Bring your favorite pens, highlighters, pencils, notepads. Anything that makes your notes cheery and fun. - Pack a couple containers of freshly cut fruits, berries and veggies. They keep your energy up for longer. Also have a heavy, healthy smoothie with you in order to keep you "full". I have a hard time studying on an empty stomach, and sometimes it's hard to find healthy options near the library, or you're too stressed for time to go out and eat. Or maybe you just nailed your favorite spot, and don't want to give it up. Don't deny it, we all have one. - I couldn't exactly bring a candle to Starbucks or the library, so sometimes my trigger would be finding a friend who was very studious and had a strong work ethic. Trust me, it inspires you to keep up and be like them! If you can't find a non-distracting person to be with, then pull up the bios of people who you look up to, especially if they're in the path you are pursuing, and make it your web browser's homepage. You'll feel guilty when you wander off to the Internet world! Double wammy! - A sweater and warm socks, in case the AC is too high or the heating too low. Here are a few gems for you stationary/organization freaks like me. I've bought from Poppin before and can 100% vouch for their products. I just absolutely love their bright colors, minimalistic design, and affordable price points. I know right?! The internet has everything! Thanks Sienna! Hope you find a few useful for when you start Law school! Amazing tips! And these photos are really inspiring! Love the built in cube wall, very cool! I would love to have an office like the one on the top right. agh, time to reorganise my room! Very cute, great tips! I'm an interior design student in London! - I love your blog, great layout. I run a London blog - www.cityhabit.blogspot.co.uk (I have a lot of food on there at the moment! )- maybe you'll like mine too?? love this! you have such a great blog!